awesome choice. I had forgotten practically everything about this movie (which i haven't seen since i was like 5) and this part... i love the hokey old visual effects. LOVE that scene too! I think there are cliff scenes in all the Tarzan movies with Weismuller. This one made my heart skip a beat. 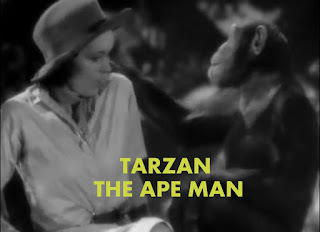 Awesome effects for such an early flick. 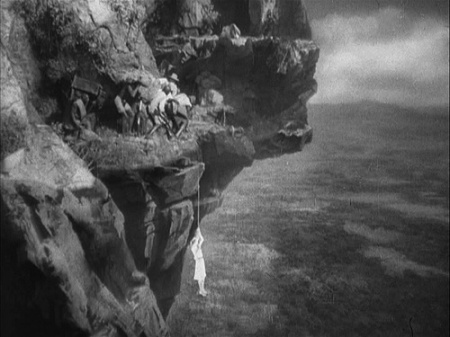 That shot actually reminded me of the cliff in Black Narcissus, the fact that it looks painted in yet convincingly dangerous. Why and where there'd be rock formations like that I'd never know.